Like light painting? So do 2,171 crowdfunding fans, who have helped the Pixelstick LED light wand raise a whopping $628,417 on Kickstarter. 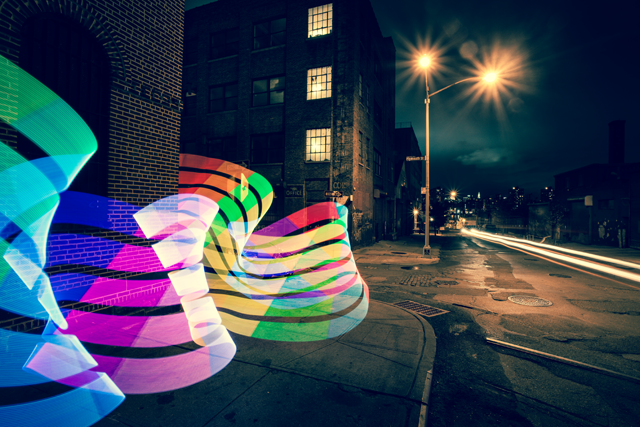 The Pixelstick is a programmable LED light-sabre you can wave around during long exposures to create surreal photographs. Smarter than your average glow-stick, by the end of its campaign last week, the product had raised its $110k goal plus a fivefold surplus. Bitbanger Labs, its New York-based creators, say that since the original launch have tweaked the design, increasing the resolution to 200 pixels and adding support for standard 1/4-inch tripod mounting nuts. “We’ve nearly arrived at our final manufacturable design,” they said. To find out more about the project, read our original news article and our Bitbanger Labs interview.